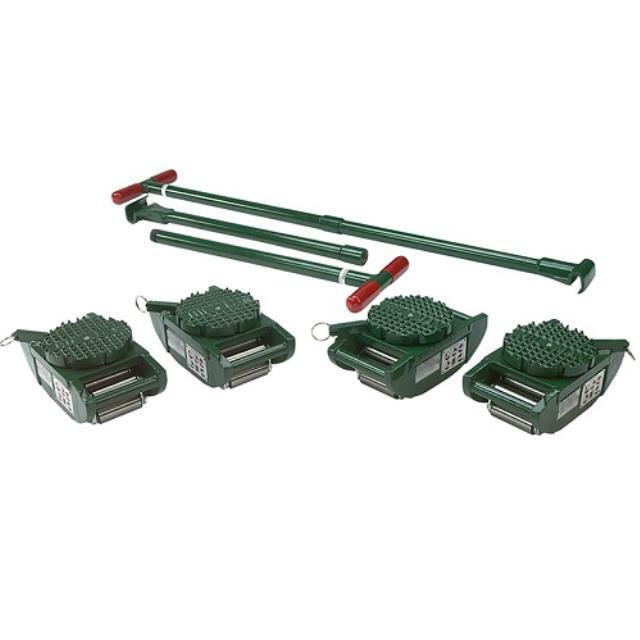 Designed to move extremely heavy loads, these skates rent as a set of 4 with 2 handles included. Each skate is rated to a 7.5 ton capacity for a total of 30 tons as a kit. Low profile and swivel head makes using these skates easy and efficient. A must have for heavy moving jobs.